Vinegar is regarded by some authors such as Cal Orey as the trusted at-home remedy to cure any ailment. In the book, “Healing Powers of Vinegar,” Orey explains the multiple forms and uses for vinegar. When air is combined with fermented liquids, such as wine, the result is the bacteria-killing pungent scent that we associate with vinegar. If vinegar can remove rust, think of the benefits you’ll receive eliminating the corroded toxins built up in our bodies. According to the website Kitchen Projects, vinegar has been used for hundreds of centuries, and dates back to the time of Hippocrates and Cleopatra. Greeks and Romans used vinegar as a natural elixir, as well as a food preservative. Vinegar is a natural, organic product that does not contain any chemical or harmful preservatives. 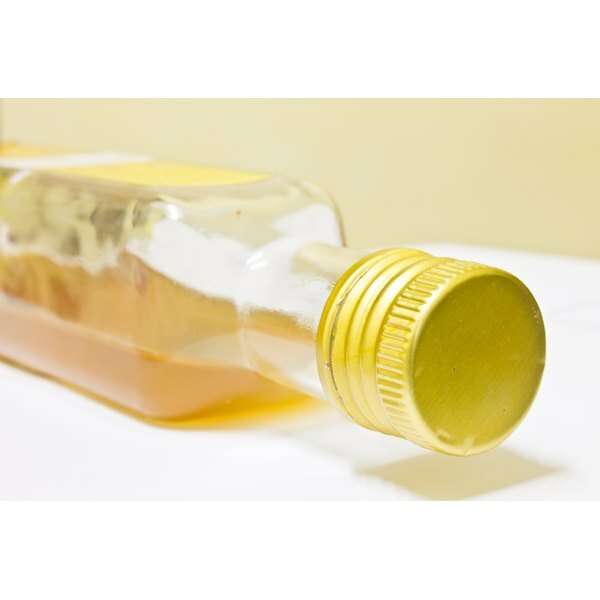 The low pH value makes vinegar safe to use, but since it is an acid, it has been utilized to kill unwanted bacteria. The researchers at The Vinegar Institute praise vinegar for its gentle and effective results. Incorporating vinegar into a detoxification program will help eliminate toxins, promote healthy digestion, help clean and thin the blood, and assist in breaking down excess fat. Nutritionists from Arthritis Research UK also caution there is no evidence recommending vinegar for continual long-term use. Being exposed to daily pollutants and toxins creates havoc on our internal regulators. Safely eliminating these chemicals reboots our digestive and metabolic systems to function at their optimal level. Using a natural cleansing agent, such as vinegar, eases the process of elimination by gently cleaning out the liver and colon upon repeated use. Vinegar binds onto the toxins and free-radicals damaging our bodies, and flushes them out upon elimination, according to Charlotte Skiles, founder of Eat in Peace Wellness Consulting in Austin, Texas. Depending on the potency of the vinegar, the acidic levels can erode and damage the enamel of your teeth over time. By either diluting the vinegar with water or fruit juice, or by decreasing the frequency of ingesting vinegar, it will restore your teeth’s appearance. Women who are pregnant should consult with their health care provider before beginning use of vinegar or a detox program. Vinegars that are processed and commercialized should not be used; lack of research or evidence cannot conclude the same effective results organic, unrefined vinegar constitutes. Unprocessed vinegars, such as Mother's Natural or Bragg, are supplied through health food and nutritional stores. Apple cider vinegar and even grape vinegar are regarded for their immunity benefits. They contain the more than 20 beneficial compounds, such as vitamins A, B1, B2, B6, C, and E, as well as magnesium, sulphur, potassium and iron. Red wine vinegar contains polyphenols that trap free-radicals and dispose of them. There is also malt vinegar, sugar vinegar and distilled vinegar. The nutritional specialist for the website Apple Cider Vinegar Weightloss, recommends using organic apple cider vinegar, which is safe for all types of users in detox programs. Detox for Life: Detox Diets: Why Detox? Video: Natural Remedies and Cleanses: Does Vinegar Cleanse Your Body of Toxins? Ashleigh Nolz has been writing for more than seven years. She has worked at a newspaper, been a part-time radio announcer, served as editor of her university paper, published work through The Compassionate Friends local chapter newsletter and is now a freelance writer. Nolz holds a Bachelor of Arts in journalism from Dakota Wesleyan University and recently published her first book. Will Drinking Vinegar Clean My Arteries?